Funeral services for Louis Calhoun Hartzog, 90, of Denmark, SC will be held eleven a.m., Saturday, August 25, 2018 at Ashleigh Baptist Church, Blackville, SC; with the Reverend Billy Mew officiating; burial will be in the church cemetery. The family will receive friends one hour prior to the service at the church on Saturday. Donations may be given to a charity of one’s choice. The family would like to thank the staff of Pruitt Health and Pruitt Hospice for their love and care shown to Mr. Louis. He passed away on Monday, August 20, 2018. Born in Hilda, SC, he was a son of the late Milledge W. Hartzog and Louise Hutto Hartzog. He was first married to the late Wilma Birt Hartzog and was the widower of Annie Lou Morris Carroll Hartzog. 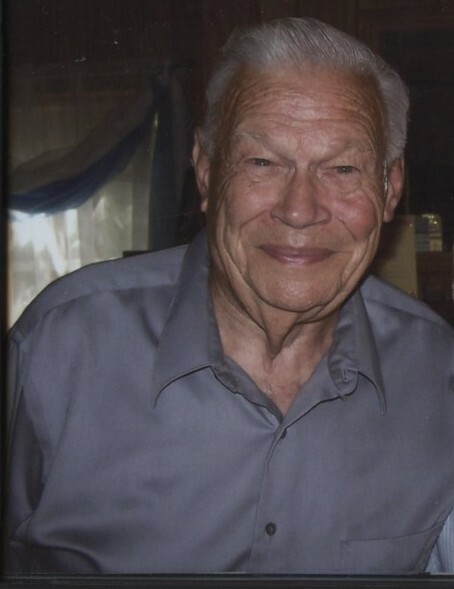 He was a member of Ashleigh Baptist Church and retired as a mechanic for Milliken Corporation. He was a US Army veteran. Survivors include Annette Cole, Faye (John) Kassing, Sherry (Bobby) Graham, Bryant (Bobbie) Carroll, Jill (Jerry) Williams; a sister Kitty Bodiford; nieces Pam Ward, Pat Binns, Ann Lancaster, Kathy Fulmer, Penny Creech, Sandy Hayes, Lynn Grace, Brenda Crowe; nephew Glen Hartzog, and a number of grandchildren, great-grandchildren and great, great grandchildren. He was preceded in death by a sister Margie Dixon and brothers, Elbert, Ben and Tommy Hartzog.